In 2012 I followed through on a rant I had delivered some months earlier to a circle of women about how unacceptable it was that I did not know enough about living in the natural world and decided to simplify my life, live closer to the land and begin to learn how to grow food and work with plants. A seed had been sown two years earlier when I’d spent some time on a permaculture farm in Southern Oregon and it could no longer be ignored. 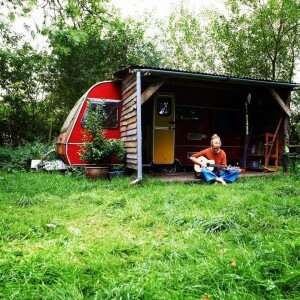 I moved into a caravan in a grove of trees (ash, oak, willow and hawthorn), painted it red on the outside, yellow and fuschia on the inside and started work on an organic farm and community food project. Caravan life and farm work meant stripping things back to the essentials, learning about nature’s cycles and a whole new way of being. I went on a huge voyage of discovery during this time, inside and out. It also inspired my continuing creative outpouring and I made two albums during this time: Spirals and A Call to Stand. Three years later, in late Summer 2015, with my bags packed ready to move on to pastures new, I knew I needed to do one final project. 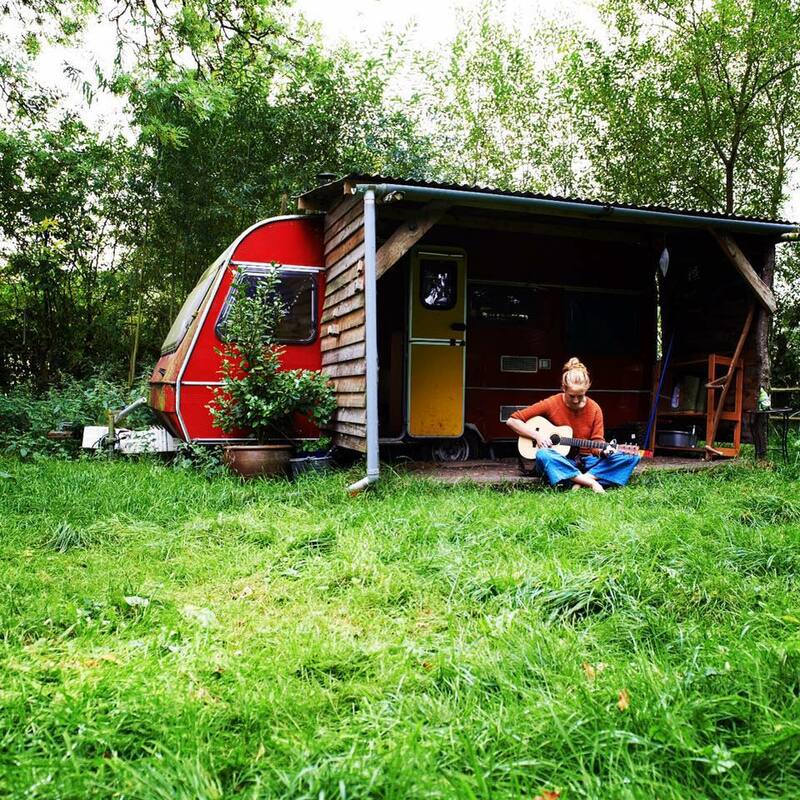 In the way that life had been stripped back during these years, I was inspired to record an album that reflected this way of being and the caravan itself became my studio. I spent three sunny days, just me and my guitar, capturing these moments and capturing songs that I had written during the time but hadn’t become part of the other albums. I wanted to put something simple out that was helping raise funds for a future full-band studio album and I wanted it to be as rustic as life there had been. 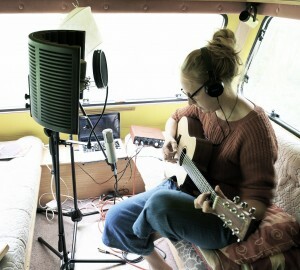 The result is ‘The Caravan Sessions’; Live, Raw and Uncut and my first foray into being my own sound engineer and co-producer. I hope you enjoy it.